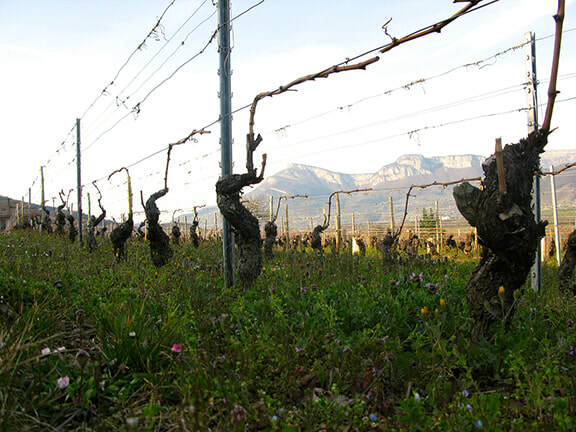 The property surrounding Le Cellier du Palais has been in the Bernard family since 1700. Bottling at the domaine started two generations ago. 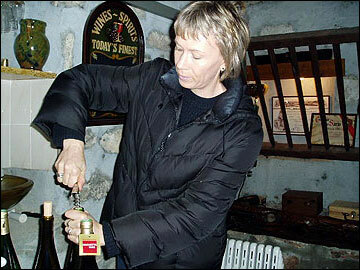 René Bernard took over for his father in 1974, and his daughter, Béatrice, has now taken over the vinification. 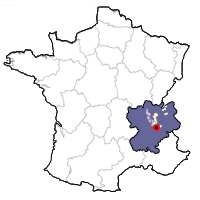 Their small vineyard in Apremont is scattered over just 7 hectares (17 acres). Some of these have a subsoil very rich in chalk, others with decomposed glacial deposits. ​Jacquère, Altesse and Chardonnay. Believe it or not, the Chardonnay grape became widely planted in the Savoie during the 1960s, although not much of it remains there. Béatrice works her vines according to the practices of lutte raisonée, keeping treatments to the absolute minimum while organically working the soil to promote healthy support for the vines. Some leaf plucking and green harvesting helps to maximize the concentration of the remaining grapes. The harvest is done by hand by a small team of workers. A gentle pressing is followed by a cold fermentation in an effort to guard the maximum aromas of the grapes. Afterwards the wine stays sur lie for between 4 and 10 months, depending on the cuvée. 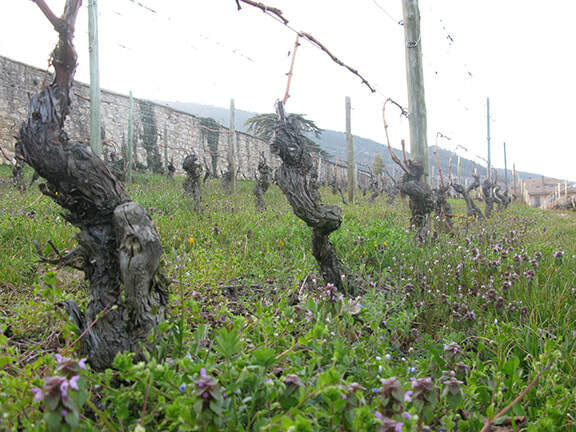 The wines do not undergo malolactic fermentation, so that they retain their bright, refreshing acidity. Le Cellier du Palais, the name of their winery, comes not only from the name of its location (called Le Palais) but also from the play on words with what we taste wine, the palate (palais in French). Production at the domaine averages 45,000 bottles a year (3,750 cases). The Apremont cuvée sold in the United States is made with pure Jacquère. Tasting Notes: Clean, citrus fruit notes along with soft mineral notes and thirst-quenching acidity. This wine makes for a light and crispaperitif. Food Match: Excellent at the table with trout, perch, smoked salmon, or mountain cheeses liketomme and raclette.